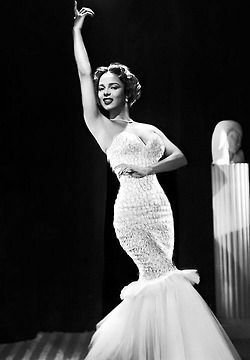 Dorothy Dandridge was an actress and popular singer. She is the first African-American woman (and first black actor ever) to be nominated for an Academy Award for Best Actress. She was nominated for her titular role in Carmen Jones. The stunning beauty was extremely talented, but in the racially disharmonious 1950s Hollywood – filmmakers could not seem to create a suitable role for Dandridge. After a number of personal problems on September 8, 1965, Dandridge was found dead in her Hollywood home. It was later ruled that her death was caused by a accidental barbiturate overdose. Dandridge had little more than $2 in her bank account at the time of her death. We count down the list of Dandridge’s many achievements in pictures. 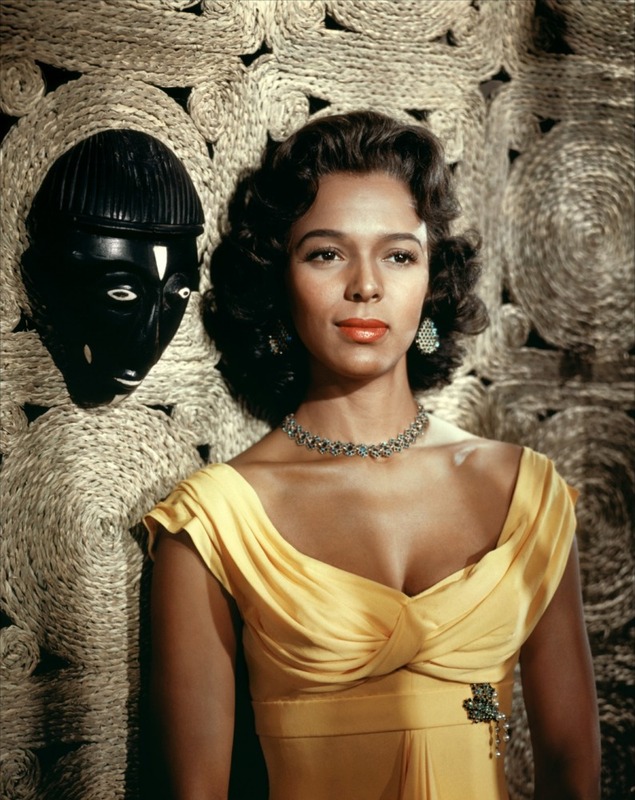 Dandridge paved the way for so many black actresses today and was a woman of many firsts. She became the first African-American woman to grace the cover of Life magazine in 1955. 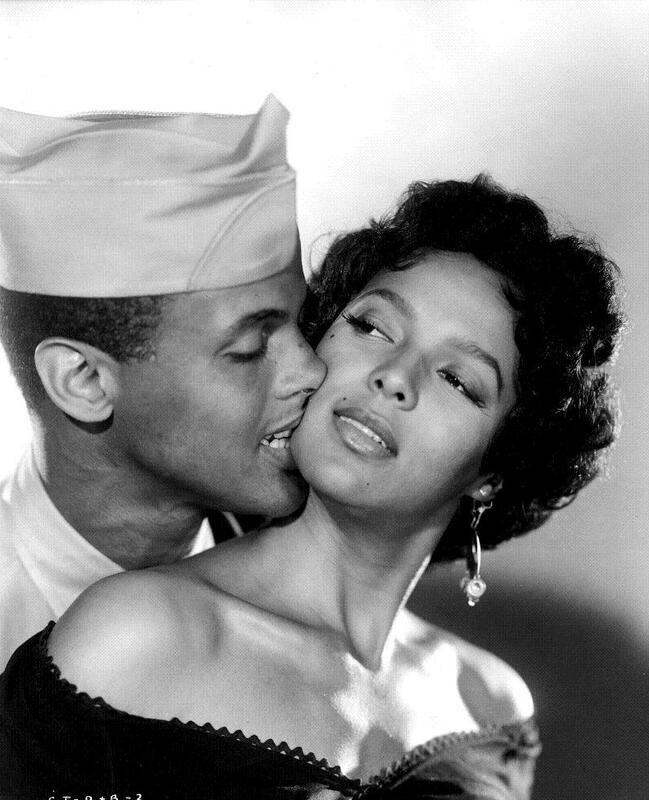 Harry Belafonte and Dorothy Dandridge starred together in Carmen Jones directed by Otto Preminger in 1954. Dandridge was nominated for an Oscar for her role as Carmen but lost out to Grace Kelly. 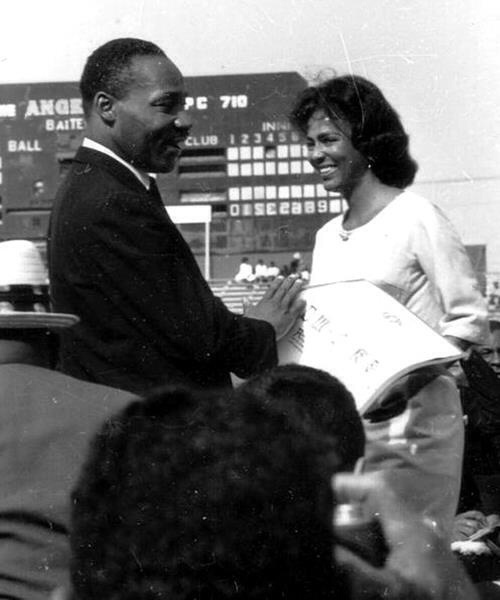 Dorothy Dandridge is pictured with Dr. Martin Luther King, Jr. at a Freedom Rally in Los Angeles on May 26, 1963. A crowd of more than 35,000 people gathered to hear him speak. “This is the largest and most enthusiastic civil rights rally in the history of this nation,” Dr. King told the crowd at the time. 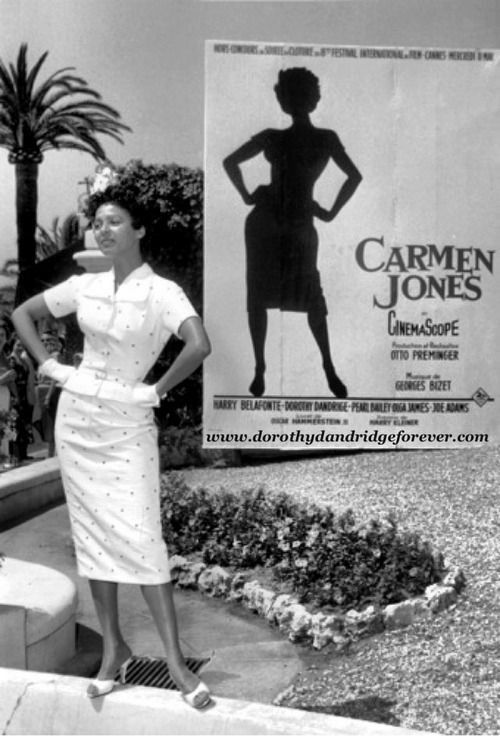 Dandridge travelled to the prestigious Cannes Film Festival in France in May 1955 to promote Carmen Jones. At the time Dandridge must have felt like she had the world at her feet. Dandridge starred in Island In The Sun in 1957 alongside Harry Belafonte and Joan Collins. 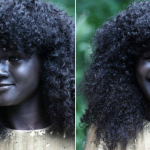 The film is about race relations set in the fictitious island of Santa Marta. 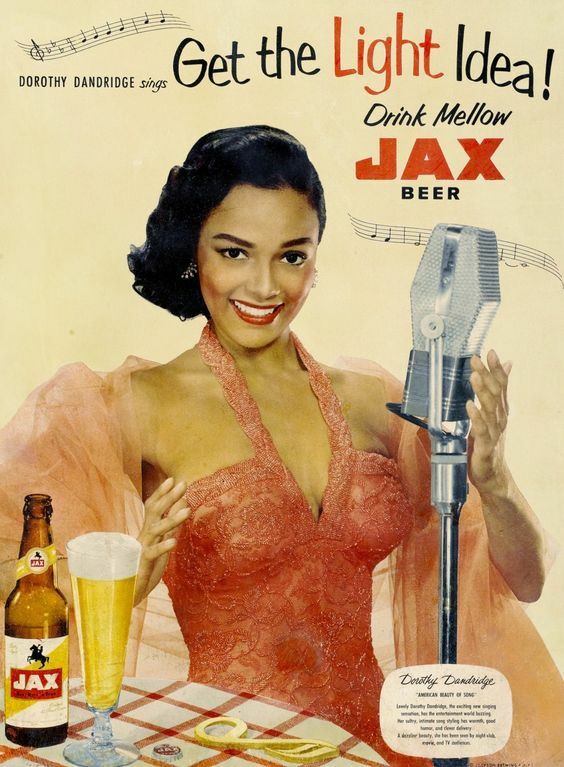 The film was controversial at the time of its release for its portrayal of an interracial romance that Dandridge’s character was involved in. 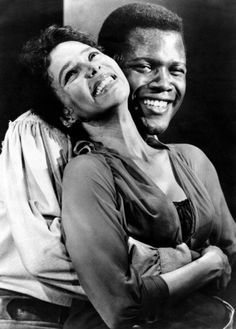 Dandridge starred in the Otto Preminger directed film Porgy And Bess alongside Sidney Poitier. At the time due to its controversial subject matter, the film was only available in limited release. But in 2011, the film was chosen for inclusion in the National Film Registry of the Library of Congress. Dandridge later had a successful solo career. After a stint at the Mocambo club in Hollywood and a sell-out 14-week engagement at La Vie en Rose, she became an international star. She performed at glamorous venues in London, Rio de Janeiro, San Francisco, and New York. 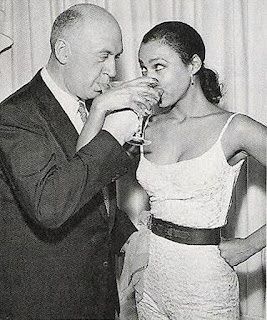 While making Carmen Jones, Dandridge became involved in a secretive affair with the film’s director, Otto Preminger, who also directed her in Porgy and Bess. 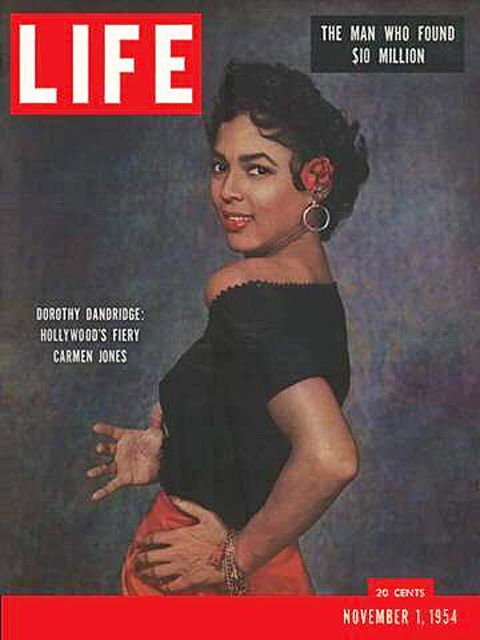 After the success of Carmen Jones, Dandridge became the highest paid black actress in the world. On February 15, 1955, Dandridge signed a three-movie deal with 20th Century Fox starting at $75,000 a film. The studio head Darryl F. Zanuck personally requested that the studio sign Dandridge to a contract. As well as being nominated for an Oscar, Dandridge presented the Oscar for Best Visual Effects at the 29th Academy Awards. In a life full of firsts she became the first black woman to walk the Oscars red carpet – entering in the front door. 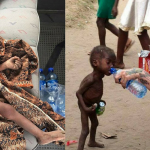 Previous article Remember The Nigerian ‘Witch’ Boy Who Was Left To Starve To Death? Wait Till You See Him Now!